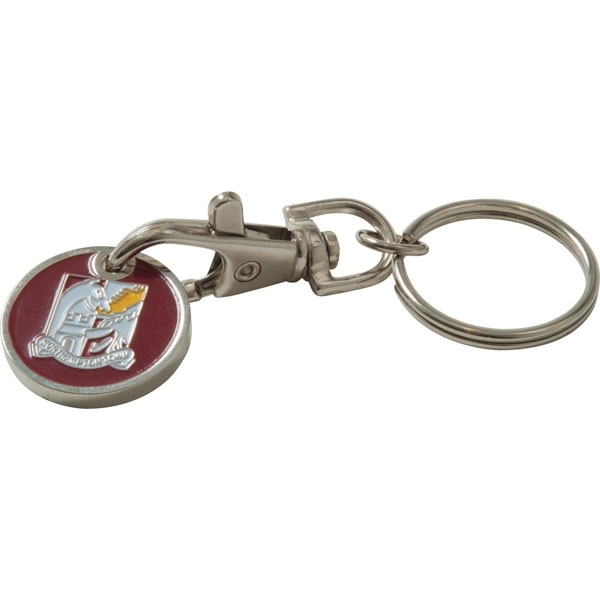 This trolley coin keyring is our most popular promotional product. 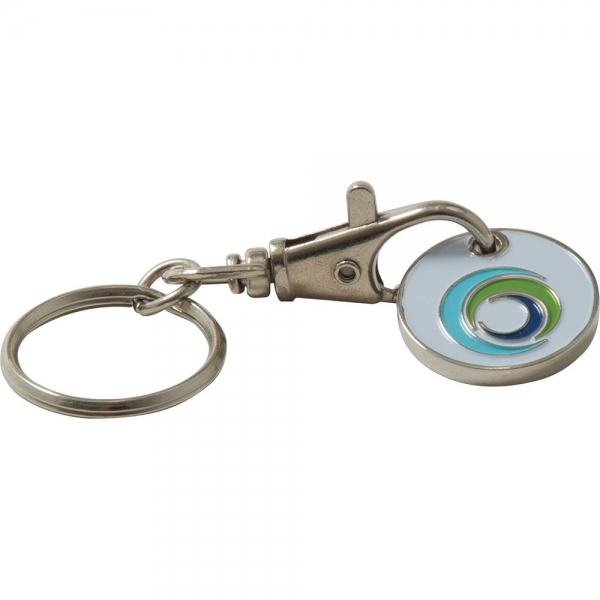 Our enamel infill trolley coins make the perfect promotional gift as it will be used on a daily basis. 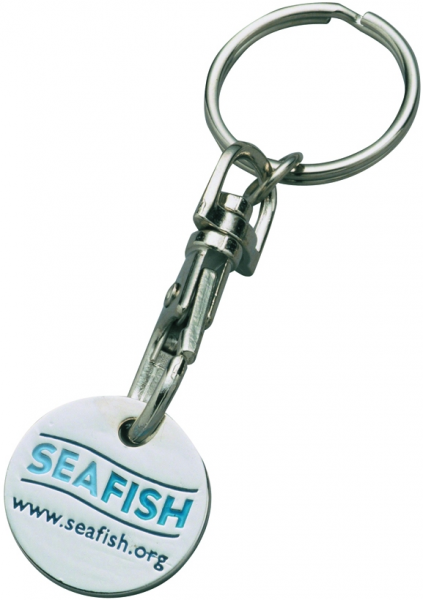 Whether the recipient is out at the shops and needs a trolley coin, or just as a keyring. 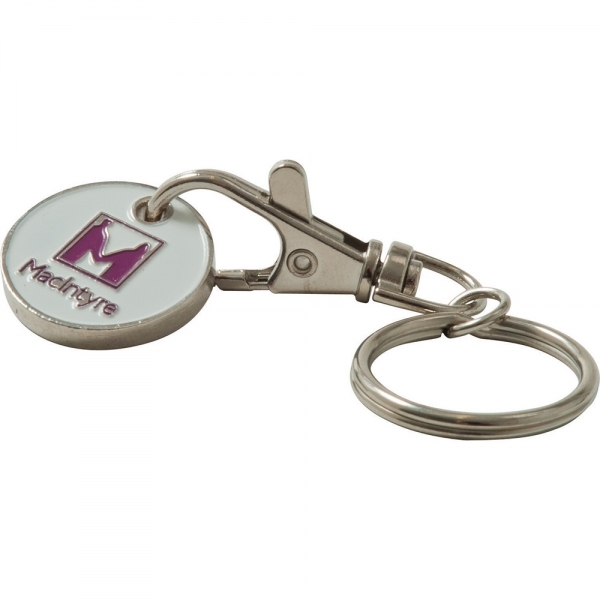 Personalise your silver nickel plated trolley keyring with your company’s logo or design in a durable enamel infill. They feature a handytrigger clip holder so that the trolley coin is super easy to use.